Edward Akinyemi, Research & Development Coordinator at NECIC, will be the speaker for the upcoming African American Leadership Initiative (AALI) Speaks event. Along with his guest Don Bryant, councilman-at-large at Mansfield City Council, he will lead a candid discussion about the importance of diversity, equity, and inclusion. Akinyemi will talk to Bryant about topics ranging from education and how it relates to civic engagement, to the importance of diversity in politics, both at the local and federal level. Bryant will also give some advice to those pursuing a career in politics, government, or education in order to remove the air of mystery that surrounds the political process. 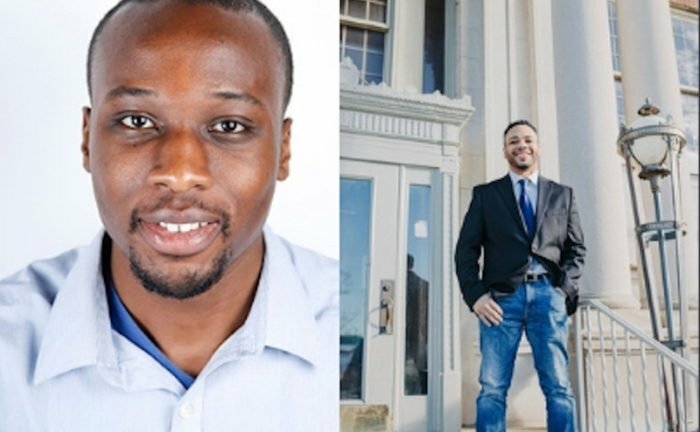 Bryant’s experience in politics and working at Mansfield City Schools along with Akinyemi’s experience living as a young man of color in various different countries means that it promises to be an insightful and engaging discussion on an extremely relevant topic. The depth and breadth of knowledge that they bring to the table about being men of color both within and outside of the political arena is truly invaluable, so make sure to join us on Monday, March 11 from 12-1:30pm! The event will be at NECIC, 134 N Main St.
Tickets are required and can be purchased for $10 at https://conta.cc/2Tb4PLg, though the event is free for AALI members. Seats are limited, so get your tickets quickly! AALI is the African American Leadership Initiative. The mission of AALI is to identify and cultivate African American leaders in Mansfield and Richland County and functions to create a network of diverse leaders with relevant opportunities to connect and contribute. To find out more about it and learn about ways to support this initiative, please visit our website at https://bit.ly/2ADh5J9.